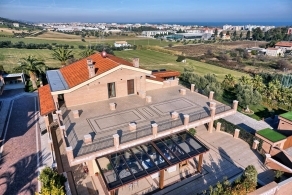 Luxury villa sea view of new construction with finishes and plant on top. 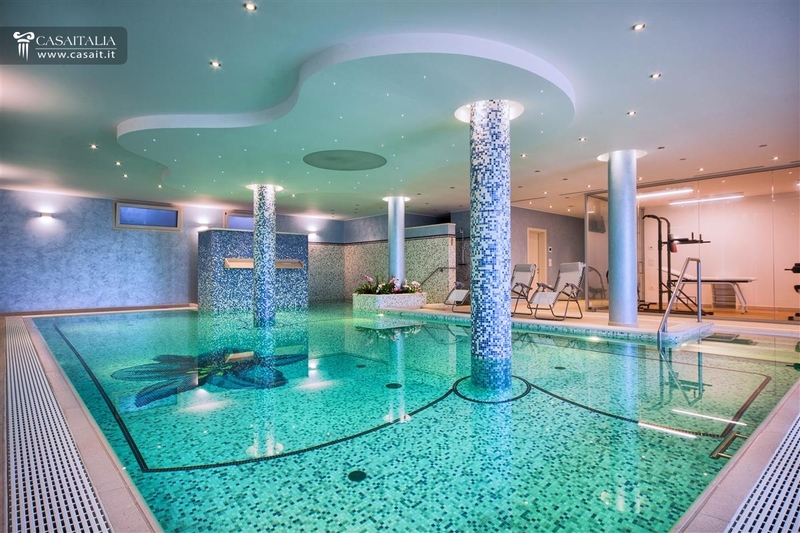 Large indoor pool, spa area, gym, home theater room, guest apartment / guardians, and large garage for total 1063 square meters. 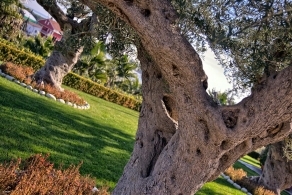 2,000 m² garden with olive trees and large terrace. 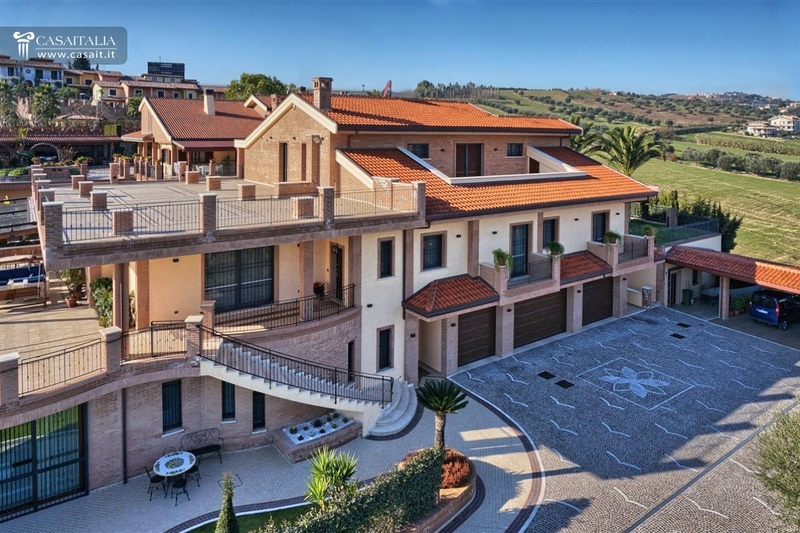 Just one km from the sea and 3 km from Tortoreto Lido, Villa Dioniso is located in a hillside position, with a beautiful view of the Adriatic coast. 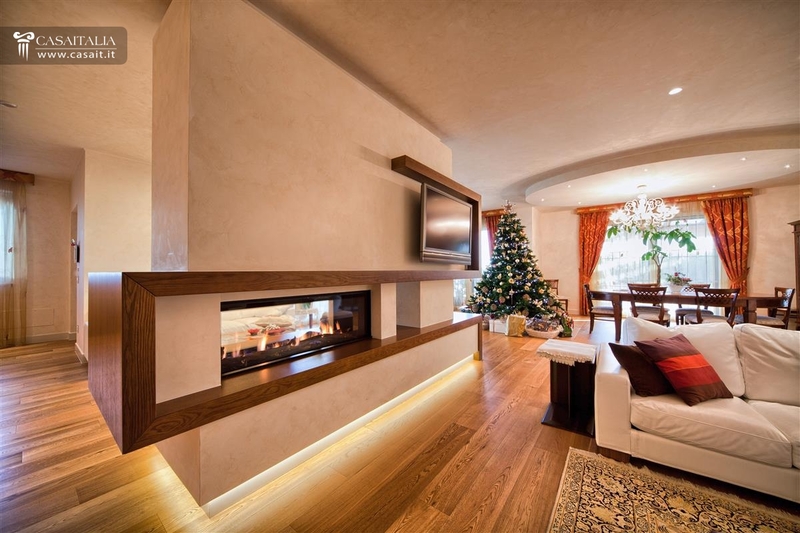 The villa was built on three levels and its living space has a floor area of 1063 gross sqm plus a garage of 93 gross sqm, a tool shed of 28 sqm and various technical rooms that have an overall surface area of 82 sqm. 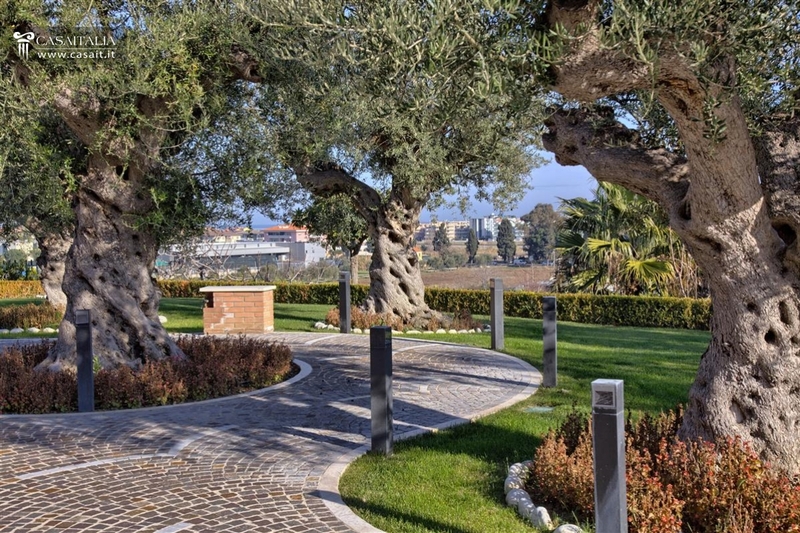 The property is surrounded by large open spaces: 440 sqm of terraces and balconies, 173 sqm of hanging gardens, 134 sqm of porches and approximately 2000 sqm of private grounds. 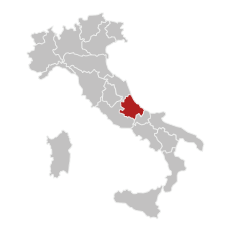 We are located in the region of Abruzzo, bordering with the Marche region, which is just 15 km away. Alba Adriatica can be reached in about 10 minutes (7 km) and you can get to San Benedetto del Tronto (30 km) and Teramo (32 km) in less than half an hour. Pescara, along with its airport, is about an hour's drive away (67 km), while the airport of Ancona is about an hour and a quarter away (117 km). The A14 motorway is just 9 km away. The building of Villa Dioniso began in 2011 and ended in 2012. 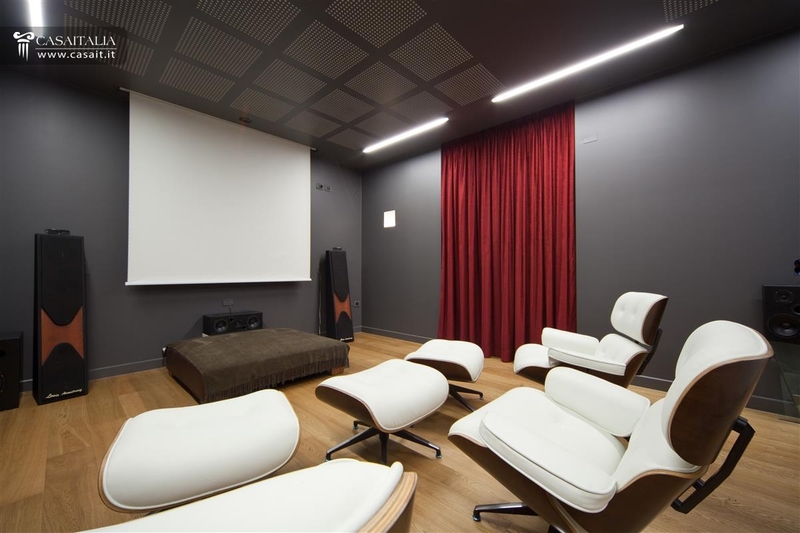 The villa is spread over three levels and its living space has a surface area of 1063 gross sqm, as well as various ancillary areas. 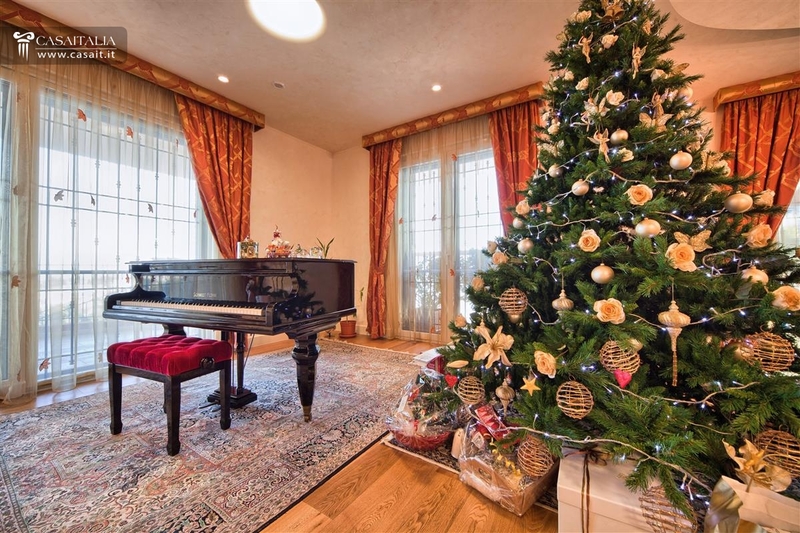 On the ground floor (418 gross sqm), the entrance, which is on the left-hand side of the property, opens into a big living room that leads to a large kitchen, where there is also a useful room used as a pantry. 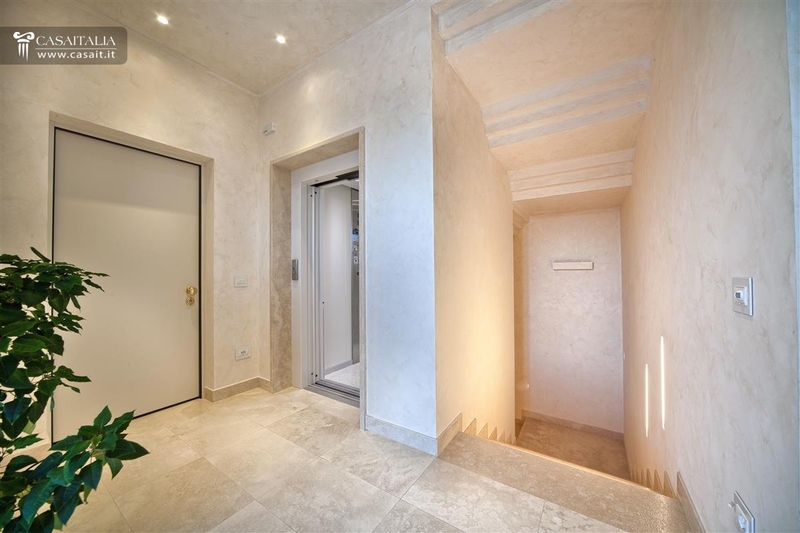 On the right-hand side, there is a staircase leading to the floor above and a lift connecting all three floors, as well as a study and a bathroom serving the living area, plus 4 large bedrooms (2 of which have a balcony) with en-suite bathrooms. 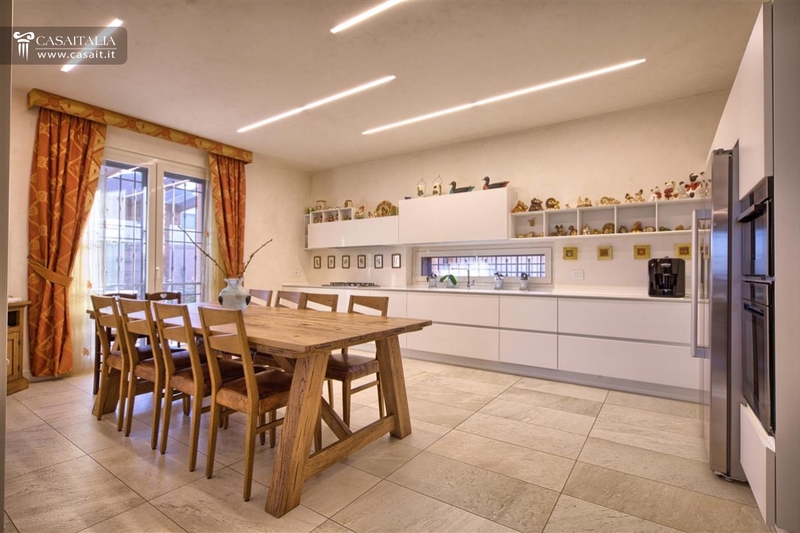 The kitchen and the living room have large French windows, which provide access to a lovely terrace that runs around three sides of the house, partly covered by a roof and used as a lounge/dining area during the summer. On the first floor (191 gross sqm) there are two separate apartments which have access, from a shared hallway, to a large terrace of approximately 270 sqm. The first apartment is located on the side facing the sea and consists of a living room with a kitchenette and an additional panoramic terrace, a bedroom with a balcony and a bathroom. The other, built upstream of the first, has the same composition (living room/kitchenette, bedroom and bathroom). 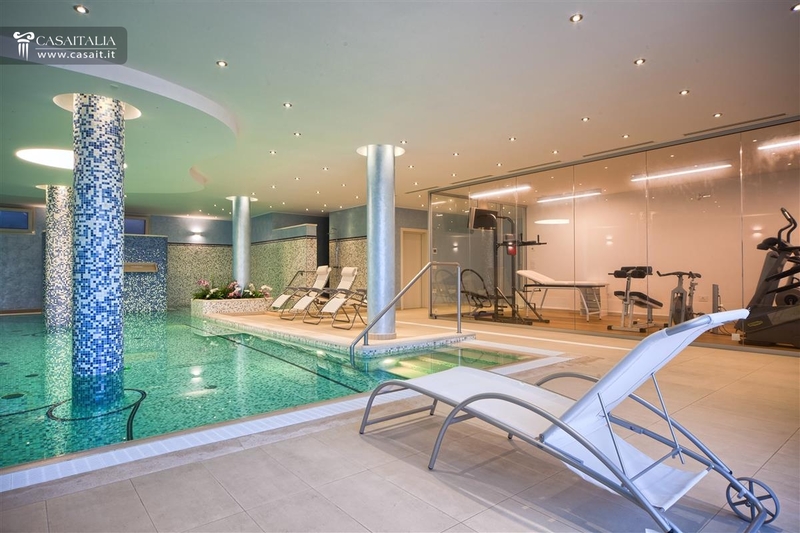 In the basement (454 gross sqm plus a garage of 93 sqm), there is a large area dedicated to wellness, with a magnificent indoor swimming pool that is heated and has a hydro-massage. There is also a changing room with a bathroom, a Jacuzzi sauna, a wellness room and a video room. In the remaining area, there is a cellar, a laundry-room with a special room for drying, a bathroom and a garage. Lastly, there are two technical rooms of 20 sqm and 38 sqm, accessible from the outside, plus a pump room of 24 sqm and a small annexe of 28 sqm, used as a tool-shed. The villa is in perfect condition. 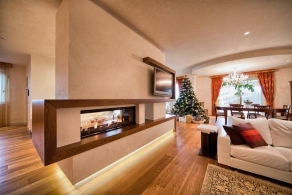 It was recently built, using top quality materials and finishes. Its high-performance technical systems mean that the villa falls into energy efficiency class A+. 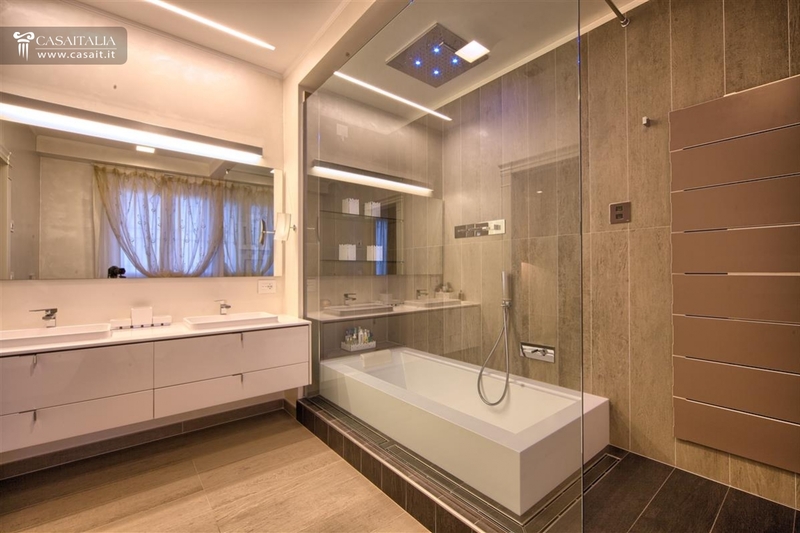 The electrical system is equipped with photovoltaic panels and is managed by a home automation system. 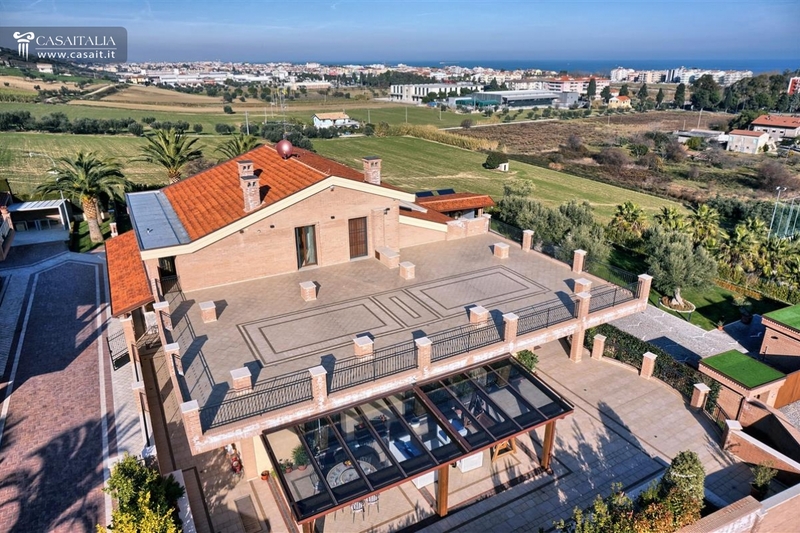 The villa is surrounded by approximately 2,000 sqm of private grounds, on which, once the necessary authorizations have been requested, it would be possible to build a swimming pool. 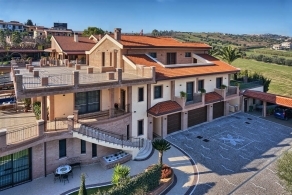 Villa Dioniso is perfect as a permanent home for a large family, with the possibility of using the separate apartments on the first floor for service staff and for guests. 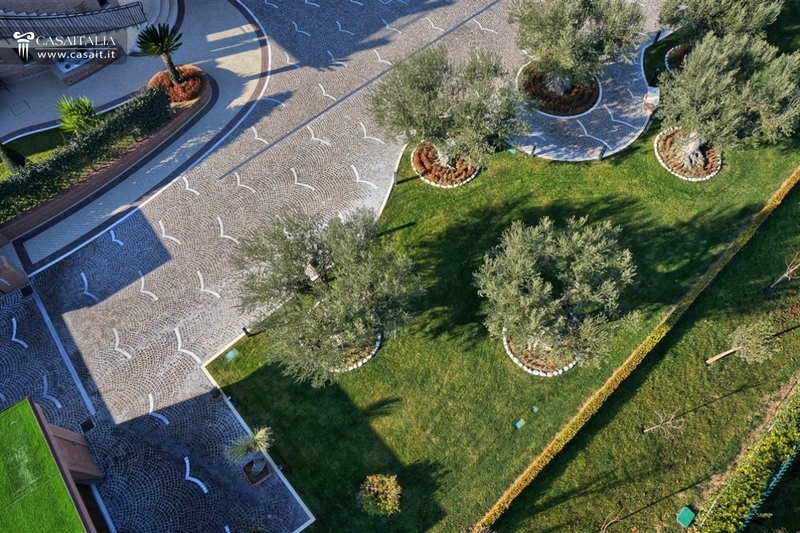 Main centers: L'Aquila, Alba Adriatica, Tortoreto, Vasto, Pescara. Characteristics: is a region of Southern Italy that is comprised between the Adriatic Sea and the reliefs of CentralApennines. Abruzzo boasts the title of "Greenest Region in Europe", thanks to the presence of three national parks (of Gran Sasso, Abruzzo, Lazio e Molise, and Maiella) and numerous protected nature reserves. Has a beautiful coastline with sandy and pebbly beaches, suitable for relaxing holidays, in well organized bathing resorts (Alba Adriatica, Vasto, Tortoreto Lido, Montesilvano). In the inland areas we find beautiful countryside with olive groves and vineyards that stretches to the Central Apennines massifs, with hills that exceed 3,000 meters above sea level. The region is rich in history and old traditions still alive in its main historical centers and in small characteristic villages. The climate is variable: mild year round on the coastal areas, with cool summers and cold winters in the areas near the mountain hills. 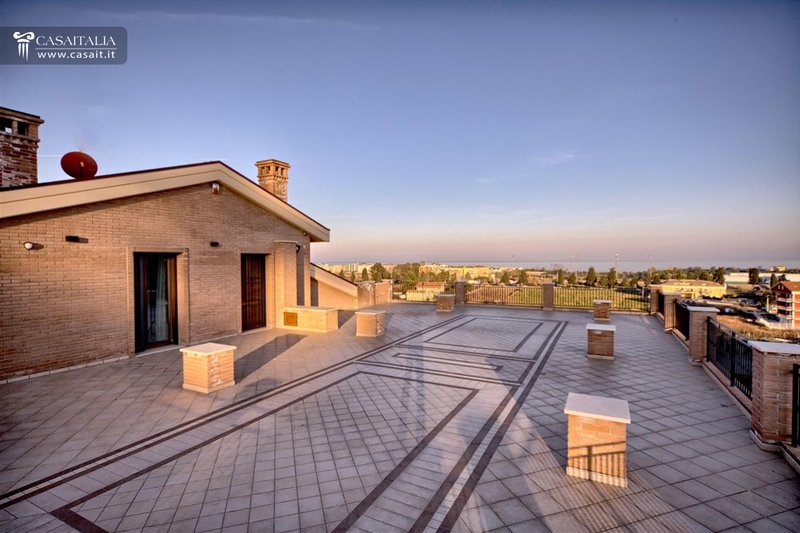 Property offer: Abruzzo real estate scene offers beautiful villas with pool and sea view in Alba Adriatica and Giulianova, perfect as vacation homes in which to spend a few months a year.